A mother knows just what her daughter needs...the gentle guidance of her hand and the welcoming refuge of her heart. 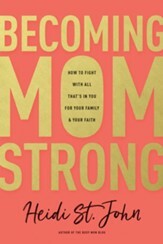 This collection of touching stories from your favorite Christian bloggers and authors will help you see motherhoodin all its formswith fresh eyes and a grateful spirit. 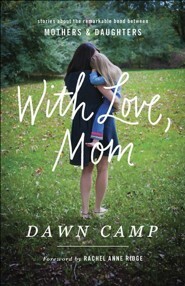 "Dawn Camp has gathered a bouquet of voices with one thing in common: They are mothers who love their daughters. The result is a fragrant collection of stories and letters that celebrate the mother-daughter dancethat relationship which brings with it every emotion imaginable and even a few that aren't. Read this book slowly. Savor the pages. Remember days past. Hope for days yet to come. And for all of it, give thanks." "It often feels like mothers are sorted into boxes: stay-at-home, working, single, boy-mom, girl-mom, mom of multiples, and the like. But this collection of stories about motherhood does the complicated work of celebrating our differences while highlighting the similarities we all share. Rather than divide us up or pit us against each other, Dawn Camp has gathered all kinds of moms together to share their stories and their hearts. With Love, Mom will encourage anyone who has borne a child or been a child, anyone who has mothered or been mothered, anyone who longs to give and receive the love of a mom." 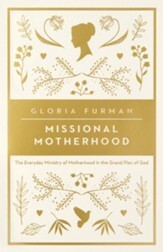 "A collection of wisdom and courage, heart and healing, love and honor...With Love, Mom is soul food for anyone who has ever called herself mom and for any girl who has ever loved and been loved by her mother." "She's done it again! In her fourth heartwarming story collection, With Love, Mom, gifted author Dawn Camp has gathered some of the finest Christian authors who share openly about the intimate dance of mother-daughter relationships. These transparent 'pas de deux' stories pulse with delight, joy, doubts, challenges, humility, inspiration, and hope. Surprisingly, mothers often admit to learning intricate new dance steps from their daughters. But unquestionably each relationship flourishes with give and take, leading and listening. 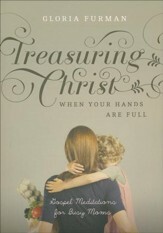 And always evident beneath each mother-daughter story beats the rhythm of God's love. 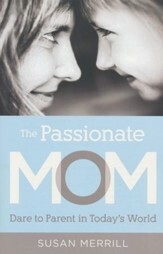 This legacy book is a perfect gift for Mother's Day and any occasion. It will be repeatedly read and passed down through the generations from mother to daughter. I highly recommend it." "Dawn provides a window into the heart of what mother-daughter relationships are all about. She includes real-life stories that will make any reader laugh, cry, think, and remember. Full of heart-warming inspiration, this is a book that can be read over and over again." "Tears, laughter, and moments of deep-hearted connections were in each turn of the page in With Love, Mom. Beautiful and honest stories from women who help us see that motherhood is the most challenging job we will have. You will be encouraged as the love of Christ, through a mother's heart, transforms ordinary stories of life into extraordinary testimonies of love." "Bringing together an all-star cast of writers, Dawn has given us a collection that offers insight, hope, and encouragement. This book is a treasure." I'm the author/artist and I want to review With Love, Mom: Stories About the Remarkable Bond Between Mothers & Daughters.